So many classic movies have been made in downtown Los Angeles. Though many don’t actually take place in downtown Los Angeles. L.A. has played almost every city in the world, thanks to its diverse landscape and architectural variety, but particular buildings just keep coming back on screen again and again. 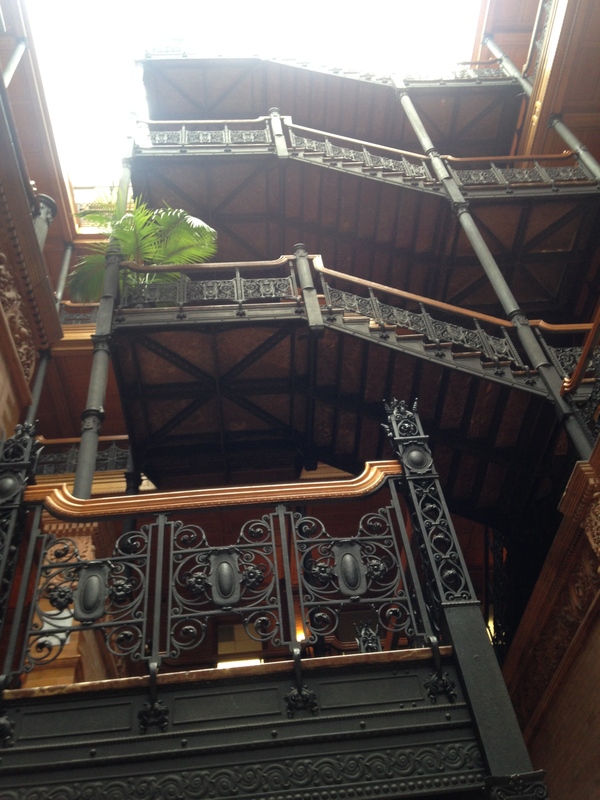 The Bradbury Building, for instance, is arguably the biggest architectural movie star in all of Los Angeles. 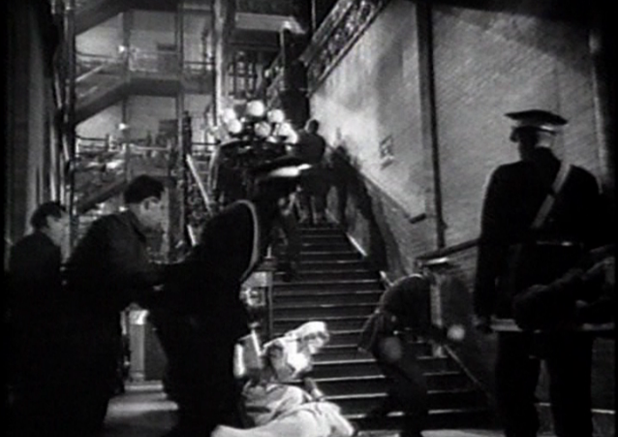 The Bradbury made its first on-screen appearance in 1943, in the movie China Girl, when it played a Burmese Hotel. It played a London military hospital in White Cliffs of Dover in 1944. 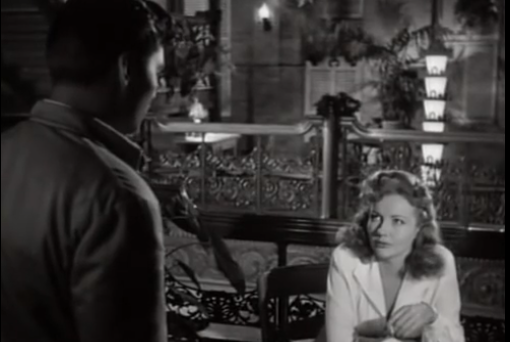 It was the background in the film noir thriller DOA in 1950. In the 1969 movie Marlowe, Bruce Lee steps into an office of the Bradbury and kicks all the furniture apart. It played an office again in the final scene of 500 Days of Summer. It was a movie studio in The Artist. 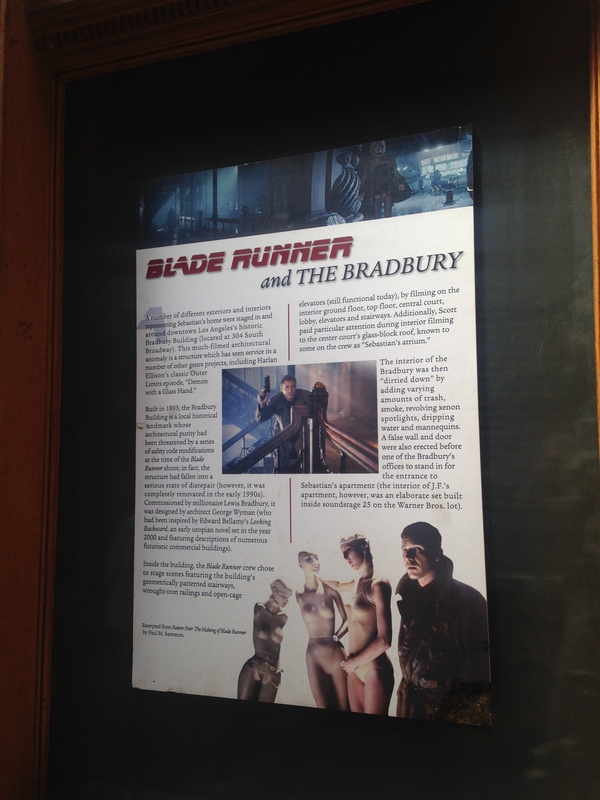 The Bradbury’s most famous role of all was as the Toymaker’s house in the 1982 movie Blade Runner. 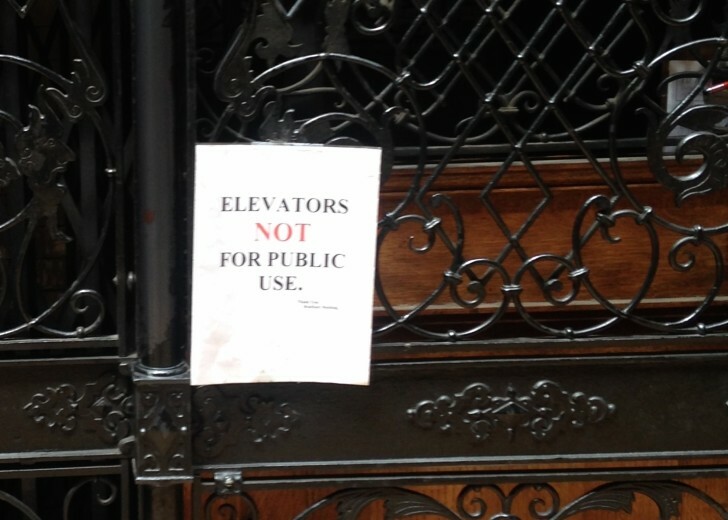 There’s even a plaque in the lobby about it. 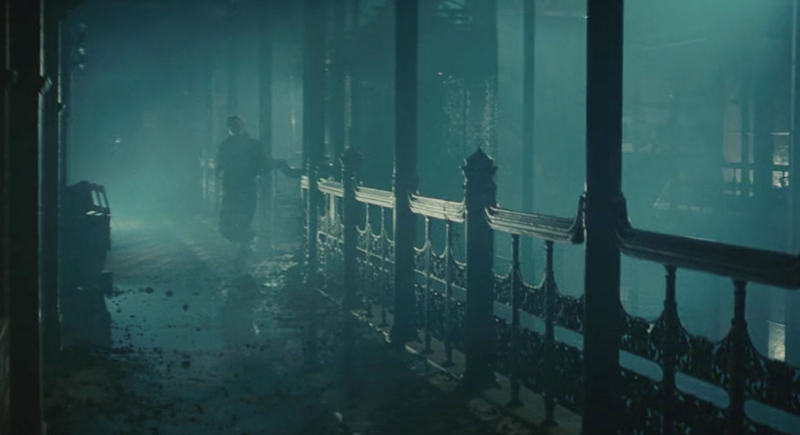 In Blade Runner, the Bradbury is a dark, moody ruin. Which seems like some real Hollywood magic when you see what the building actually looks like. 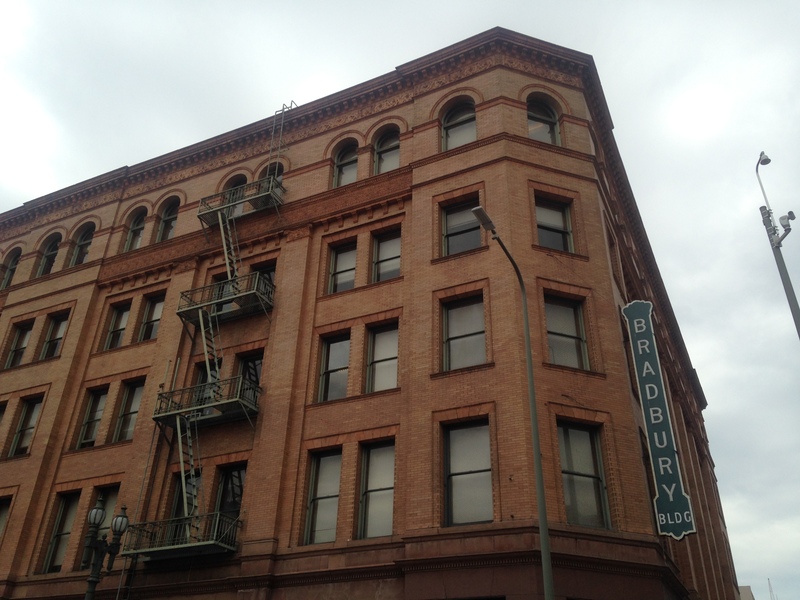 From the outside, the Bradbury just looks like a brick office building at the corner of 3rd and Broadway, downtown. It seems unremarkable, but the magic happens when you step inside. 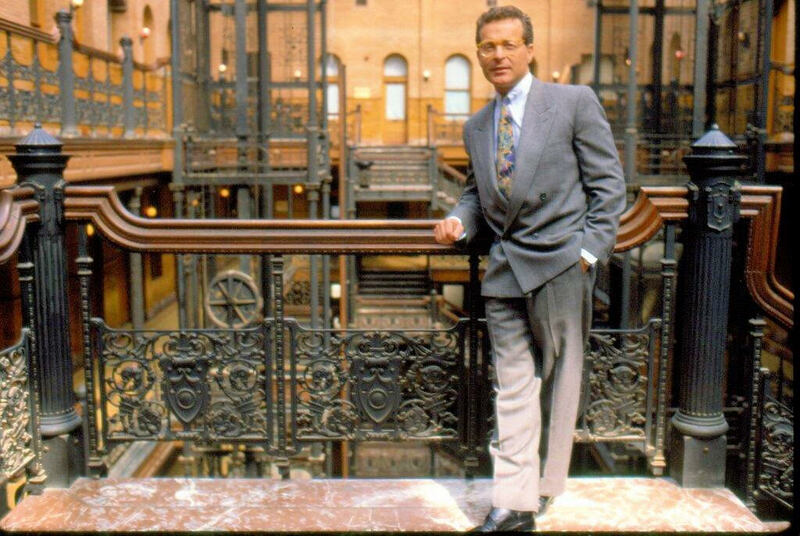 The Bradbury is basically a tall, narrow courtyard, walled in with terra cotta, covered with a glass ceiling, and flanked with two iron, clanking hydraulic-powered elevators. Human conductors still operate them. There’s a reason the Bradbury is in so many films. Aside from being beautiful, it’s also practical. The balconies allow the crew to shoot from many different angles and create a whole range of different moods for various genres. The Bradbury’s ceiling height can accommodate all the lights and the camera equipment. Also, the Bradbury is located near a parking lot (for all the vans and trailers), as well as places downtown where a film crew can go get lunch. 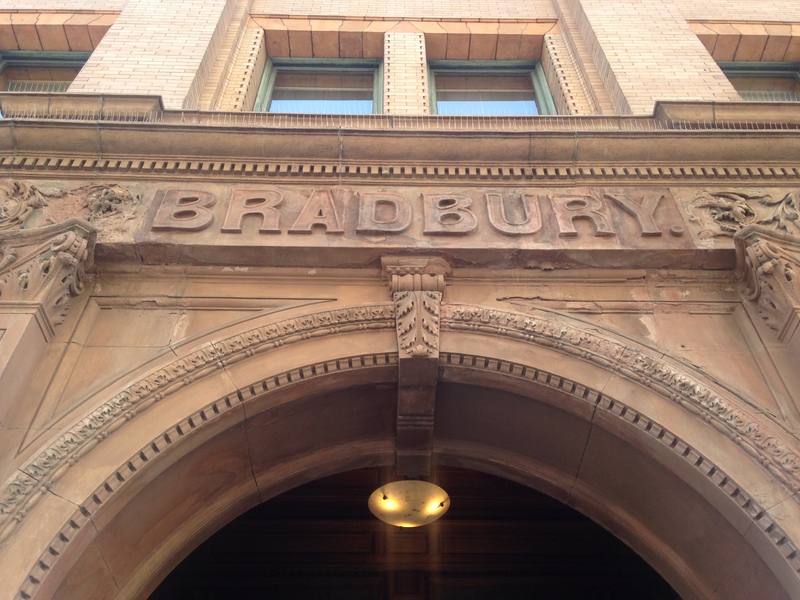 The Bradbury opened in 1893, long before the movies ever came to L.A. For the record, it’s not named after sci-fi novelist Ray Bradbury, but for Lewis Bradbury—a gold mining millionaire who decided he wanted to make a building with his name on it. In 1892, Lewis Bradbury commissioned Sumner Hunt, a famous architect, to design his building. As the story goes, Bradbury didn’t like any of the plans that Hunt showed him, and so, disappointed, was on his way out when, for some reason, one of Hunt’s young draftsmen caught his eye. George Wyman, the draftsman, had no professional training as an architect. 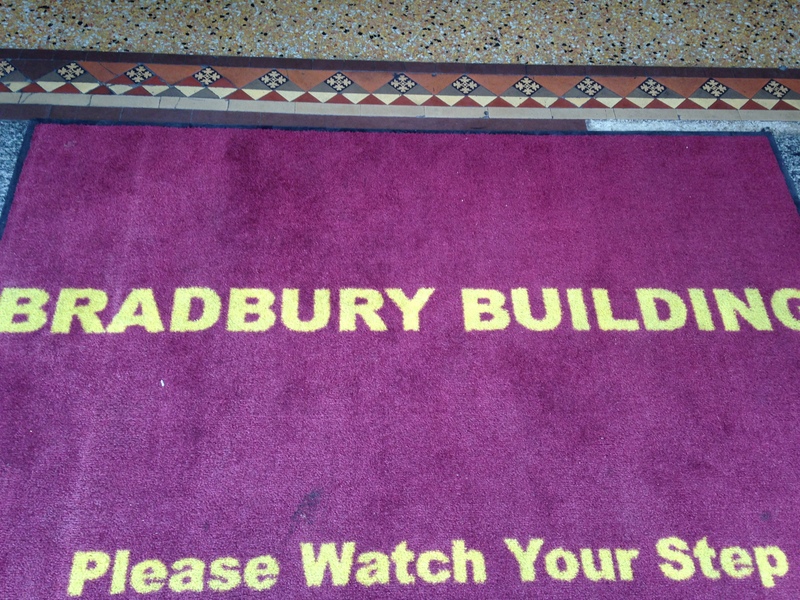 Bradbury pulled Wyman aside, and asked him to build his very important half-million dollar office building. Wyman was a bit weirded out. Not only was he totally unqualified, he also didn’t want to be seen taking business away from his boss. But it was an opportunity was incredible. Wyman was looking for answers, and so he undertook the then-common practice of attempting to contact a deceased relative. Spiritualism was big at the time; people thought that spirits held knowledge that could be useful for the living. 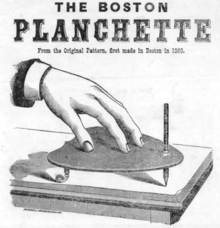 Wyman attempted to contact his dead brother Mark using a planchette, a precursor to a Ouija board which wrote out sentences with a pencil when you rested your hands on it. Wyman and his wife sat together, their hands on the planchette, and asked what they should do about Mr. Bradbury’s offer. The message trailed off into an indecipherable scribble. Then, one of them walked to the other side of the table and read it upside down. The scribble, they realized, said successful. 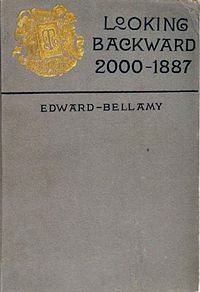 Dust-jacket of Looking Backward by Edward Bellamy. That was a clear enough message for Wyman. He said yes to Bradbury. The design of the Bradbury was directly inspired by a novel called Looking Backwards by Edward Bellamy. Written in 1887, the book takes place in the year 2000. It was the first interior of a twentieth-century public building that I had ever beheld, and the spectacle naturally impressed me deeply. I was in a vast hall full of light, received not alone from the windows on all sides, but from the dome, the point of which was a hundred feet above…The walls and ceiling were frescoed in mellow tints, calculated to soften without absorbing the light which flooded the interior. The building carries out this 20th Century vision. 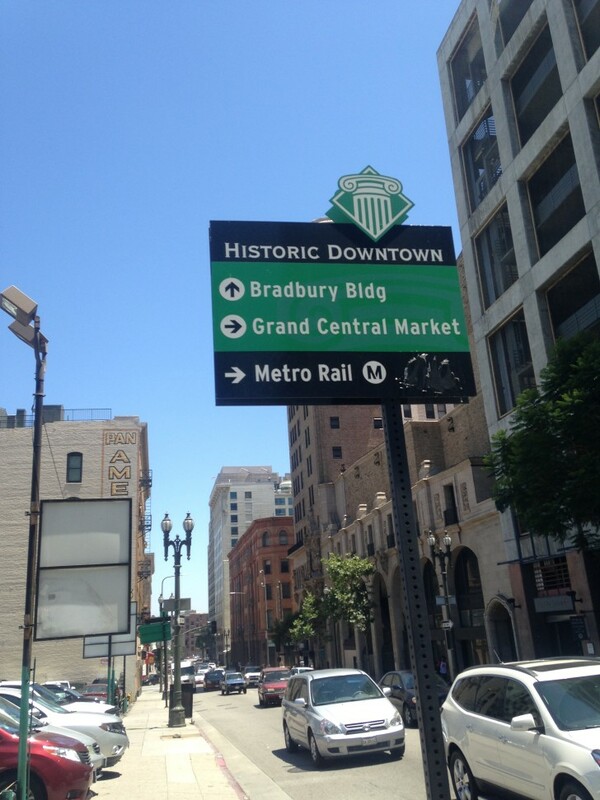 Even though The Bradbury is quite old (by California standards), it feels modern. However, aside from the occasional film shoot, the building spent much of its life totally ignored. 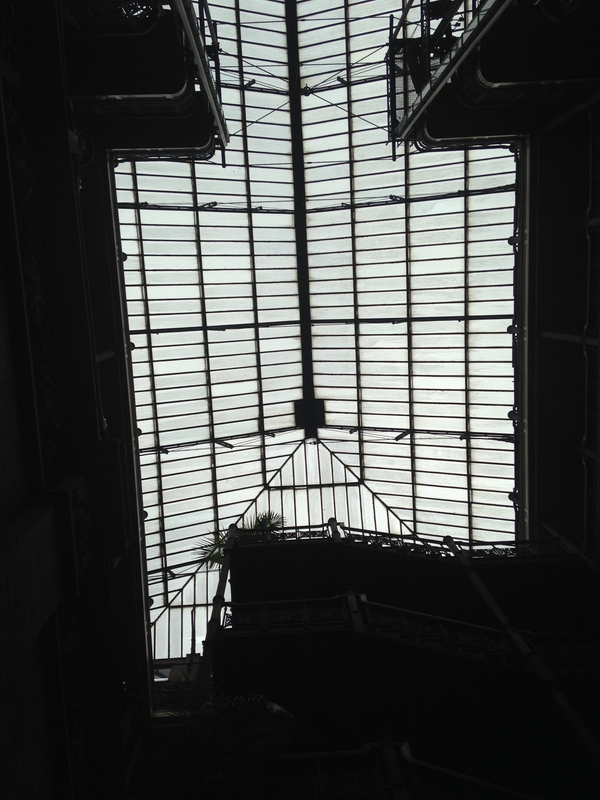 When Ridley Scott shot Blade Runner in the central atrium, it actually wasn’t too hard to make the Bradbury look so shabby. The building was in dusty disrepair until developer Ira Yellin bought the property and restored it. Ira Yellin spearheaded L.A.’s downtown revival by restoring old historic buildings and turning them into housing and commercial space. The Bradbury was one of the projects he took on, and he asked if the city of Los Angeles could find a steady tenant for the Bradbury. Today, most of the office space in the Bradbury belongs to the internal affairs division of the Los Angeles Police Department. The police don’t mind the filming, generally, but movies don’t shoot in the Bradbury as frequently as they once did. Generally, filming is not as welcome downtown now that people live and work there. These days, film crews can’t blow up cars in the street, or have 300 zombies stampede down Broadway in the middle of the workday. In this way, the downtown revival is a part of why filming is leaving Los Angeles. Movie makers are now flocking to cities in the South and Midwest and Canada, which are offering major incentives to encourage filming. These tax breaks can save producers millions of dollars, and cities like Atlanta are also developing state of the art studios and attracting good production talent. Still, there are elements of Los Angeles that cannot be replaced or replicated, even on the finest soundstage. 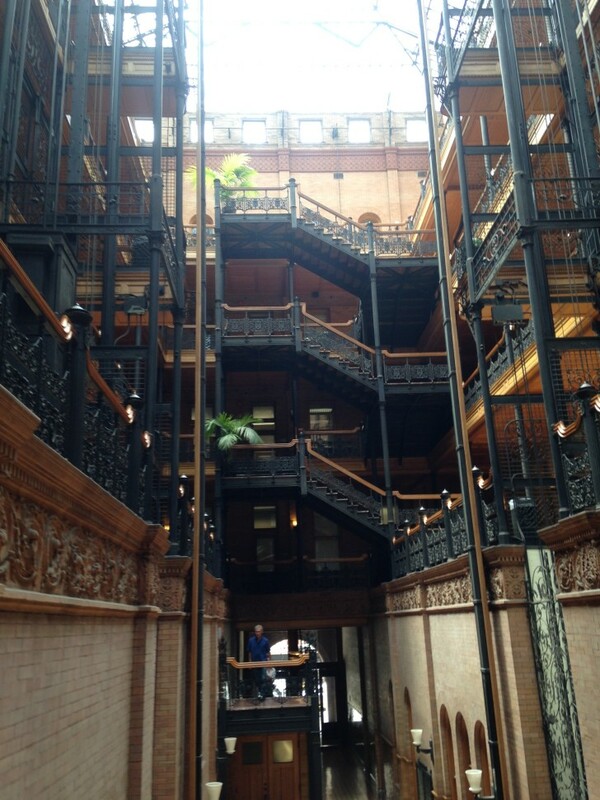 Like the experience of entering the Bradbury Building. It’s a place so unique, so remarkable, that after it was built—the draftsman George Wyman decided to take some classes and actually become an architect. Producer Avery Trufelman spoke with location scout Lori Balton, Kim Cooper and Richard Schave of Esotouric, The Yellin Company president Adele Yellin, and Eric Bender of Downtown Properties. Special thanks too to Linda Dishman of the Los Angeles Conservancy and Chris Farber of Grand Central Market. This episode was also very much inspired by the incredible film Los Angeles Plays Itself. Also filmed here: in Wolf (1994) Will Randall (Jack Nicholson) worked here as a book editor. While the Bradbury is very nice it’s not exactly unique. There are a number of indoor arcade buildings that have similar iron and glass work. Cleveland has a beautiful one. Great episode. Nice use of Lower Dens at the end there. That Twin Hand Movement album is one of my favorites. You can’t just leave it here – we gotta’ know what happens to George Wyman after he takes architecture classes? Is he still great or at least unique? Or does architecture school make him common place? Great story. The comment about how can states afford to give filming tax breaks hit home. Tons of films and tv shows film in Louisiana and our state is broke. Filming tax breaks are a pretty hot button issue here. Louisiana does something very different with the tax breaks they give — they GIVE the production money to spend however they wish; even if it means it disappears into the producers pocket. Most other states do not operate that way. I loved this episode! 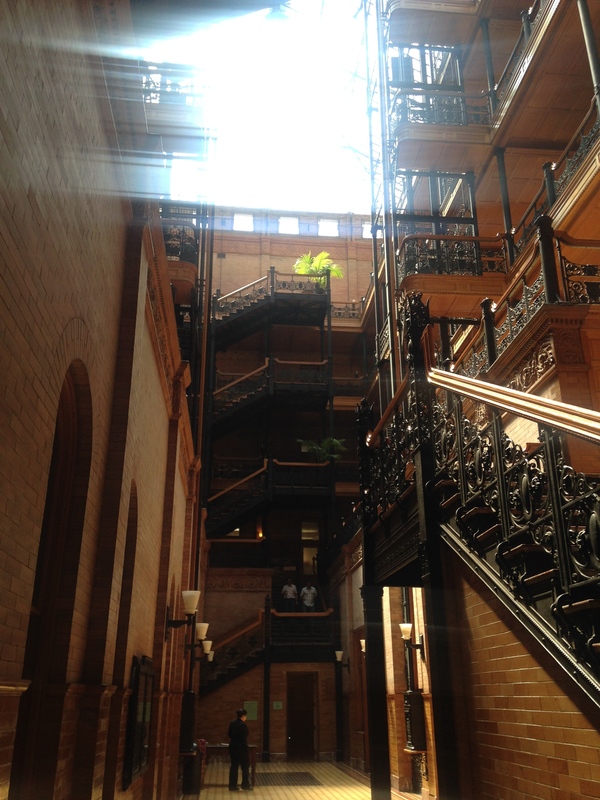 Us Angelenos are very proud of the Bradbury Building. I too, was wondering why you didn’t let us know what became of George Wyman. As I recall he only ever designed the Bradbury Building. So. 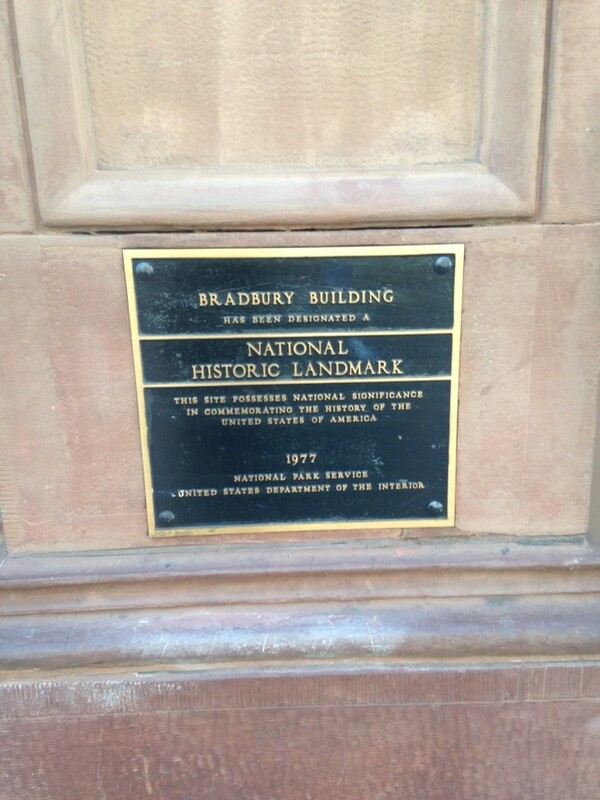 George Wyman actually went on to make many more buildings, but today, the Bradbury is the only one still standing. 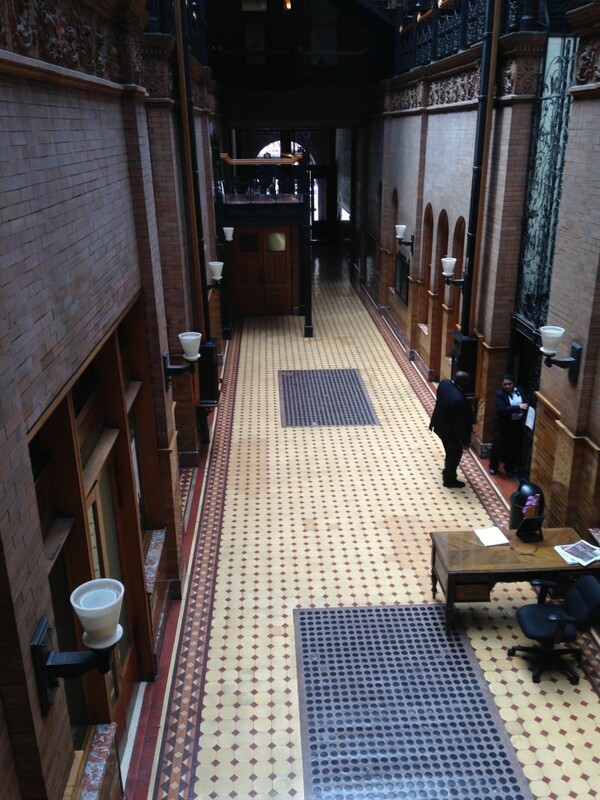 Some say Wyman never made another building quite as beautiful as the Bradbury, and that his architectural training did indeed sap his idealistic creativity. Kim Cooper and Richard Schave, on the other hand, believe that Wyman’s other works were just as majestic. But hey, we can’t know. We have nothing else to compare the Bradbury to. You beautiful nerds. You’re the greatest. For anyone further interested in LA on screen, check out “Los Angeles Plays Itself” for a lovely montage of scenes shot here. Great post. 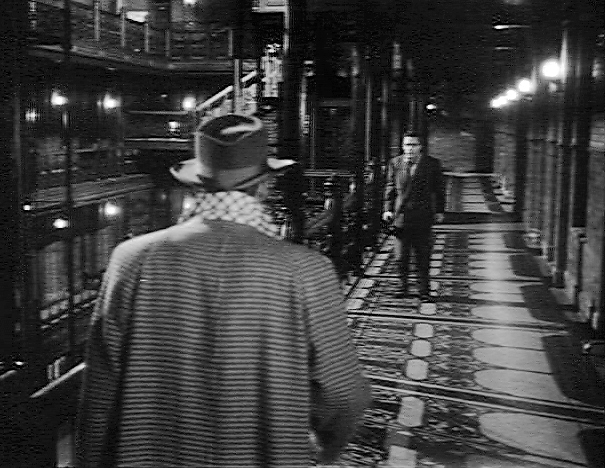 And don’t forget Joseph Losey’s bleak 1951 remake of Fritz Lang’s ‘M’ – which includes a tense floor-by-floor manhunt for the child killer/kidnapper in the Bradbury. The dolls and mannequin parts that surround the killer in his hideout are similarly echoed in Blade Runner. So creepy. Much lovelier views can be found in Douglas Sirk’s noir ‘Shockproof’ – where it plays, appropriately enough, a police station! Also used in the Doris day spy caper film caprice in 1966.